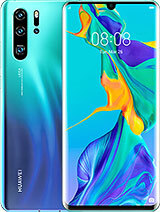 I am not sure which one to buy, the P20 pro or P30 (Not pro). 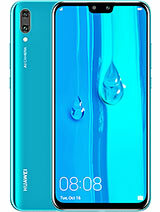 In Thailand the price for p20 pro has dropped to around 600$ and P30 stands at 700$. My main reason to buy one of these is photography. For this kind of money, you can TWO Pocophones or THREE Redmi Note 7s and still have enough left over for a date for two at a good Chinese-American restaurant. At first, I was very happy with this phone. Overtime I have come to dislike it. - Issues with the battery drains way too quickly!!! - Camera - Specs are fancy, but over exposure is an issue that makes pictures looks strange at times. Agenor, 19 Mar 2019Is P20 Pro Dual SIM full active?No. it is dual stand by. 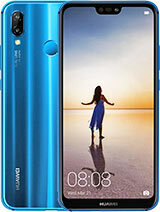 I have this phone few months and although it has very good specs, I'm wondering for some issues. - camera stability on video is cool on 60fps but should be in 4K also. - sometimes photos look very sharp and detailed that makes them look quite strange. - on Instagram when I'm trying to post a video as story, while I'm on draft mode before publishing, the video is not playing but stuck. After I publish then it shows normally but I don't know the reason and still didn't find any solution. Is P20 Pro Dual SIM full active? Anonymous, 16 Mar 2019lol? sony with slow updates?? ?Do they get updates like pixel devices the same month the new OS launches no. Does it get them 6 months after sometimes more than 6 months ive had Sony devices there good but slow on updates. 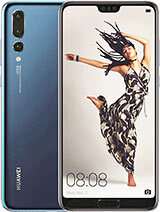 Markster2018, 15 Mar 2019Well Huawei are bit like Samsung and LG and Sony. Slow on updates. So again if you the latest ... morelol? sony with slow updates??? Yulia, 15 Mar 2019thank you, now I am clear enough for it's performance. 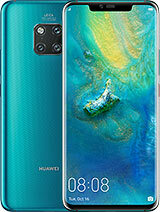 so how's the software support for huaw... moreWell Huawei are bit like Samsung and LG and Sony. Slow on updates. So again if you the latest updates quick get a pixel. I'm on Android 9 at the mo. It's due another update. So should be Q update but not sure on anything after that. 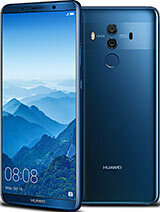 Markster2018, 14 Mar 2019To be honest if its raw power the snapdragon does out perform the Kirin chipset. But benchmark... morethank you, now I am clear enough for it's performance. so how's the software support for huawei? I never used their devices before. do you think it will get android Q or even R? Yulia, 14 Mar 2019which one is a better performer? I don't always play games, but when I do I will play it for a... moreTo be honest if its raw power the snapdragon does out perform the Kirin chipset. But benchmarks are not sole selling point. Now I.m.o I have had snapdragon based phones and they tend to overheat. Now I'm a gamer and play a lot of real racing 3. And the Kirin 970. Runs sweet as a nut and no over heating issues. Onto the P20 pro screen the FHD+ is sharp for watching videos. Colourful enough for viewing pictures. And handles games fast frame rate. Markster2018, 14 Mar 2019Right honestly the phone is amazing ive Had mine months no issues. Right it boils down to 2 is... morewhich one is a better performer? I don't always play games, but when I do I will play it for a few hours. I'm a occasional heavy user. also, how's your screen, any issue with it? jakeli, 12 Mar 2019No more huawei devices! Locked bootloader no more! I switched yersteday from Huawei p20 pro to... moreWho cares about boot loaders and custom roms emui 9 and pie runs sweet as a nut for me. 1 P20 pro has better night mode. 2 pure android whichever version your on. Camera very good for Sony module. jakeli, 12 Mar 2019No more huawei devices! Locked bootloader no more! I switched yersteday from Huawei p20 pro to... morehey! dont talk like that for huawei! 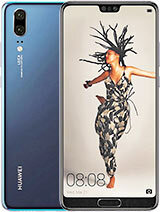 Huawei is great! I have the p10 and i dont have any issues! still in 2019 its worth it!! Now its even cheap so its pretty good deal. its about $300! is this phone still worth buying right now? I'm confused alot between this and Pixel 2 XL since both have the same price here in my country for around 450$. which one should I get? Markster2018, 08 Mar 2019Cant believe all the negativecomments on this phone. I own a P20 pro. And cant fault it. The c... moreAI camera in Huawei is weird in color color rendering, it should be Artificial illogical not Artificial intelligence. Cant believe all the negativecomments on this phone. I own a P20 pro. And cant fault it. The camera is outstanding. The screen is faultless for a 1080p. My only niggle no 4k 60fps. Which is bizarre. So all in all I would recommend this mobile. 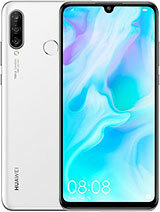 Total of 1273 user reviews and opinions for Huawei P20 Pro.